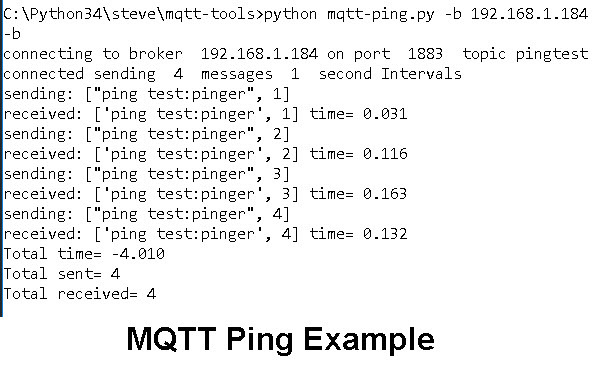 Tools are important part of setting up and testing an MQTT installation. There are a variety of tools available for use on a PC and also smart phone/tablet. These tools are part of the mosquitto broker install on Windows but are a separate install on Linux (Raspberry Pi). Mosquitto_sub – Simple subscribe utility for testing. This comes with the Mosquitto broker. Mosquitto_pub – Simple publish utility for testing. This comes with the Mosquitto broker. MQTT-Lens – Chrome add-on for publishing and subscribing to an MQTT broker. MQTT-Box– Chrome add-on for publishing and subscribing. More feature rich than MQTT-Lens. Supports Websockets. 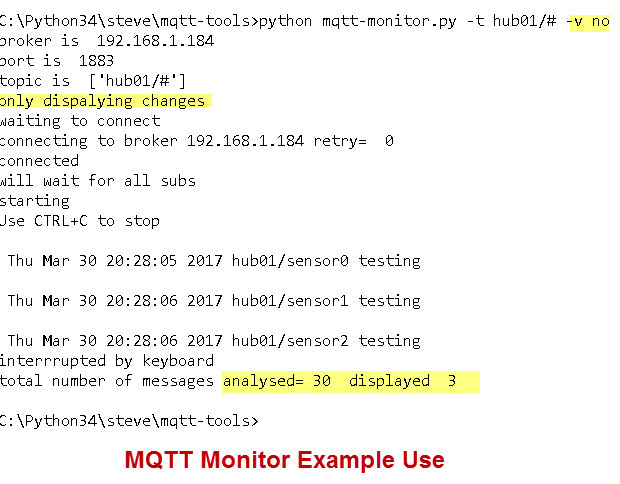 MQTT Dashboard – Simple tool to publishing and subscribing. These scripts are scripts that I’ve written while experimenting with MQTT. Two scripts one for displaying and optionally deleting retained messages on a topic tree. The other is used for creating topics with retained messages for testing purposes. This is very useful tool for monitoring topics on a broker. I use it frequently when testing. By default it only display changed messages. The script is designed to be run from the command line. Hi Steve, here is Wim speaking. Did you ever publish something about mosquitto_sub running onder PHP? I got mosquitto_pub working under PHP but I can’t get a working subscribe. My broker and Apache2 webserver run on a Raspberry PI zero.